100% Chef presents the new Noon series. All needs and experiences collected after the introduction of laboratory thermal baths in hundreds of cuisines from around the world, have allowed us to develop the best generation of equipment and accessories for low temperature cooking. Exclusively designed for chefs with the intention of providing all necessary to meet and adapt to the needs of every kitchen innovations. 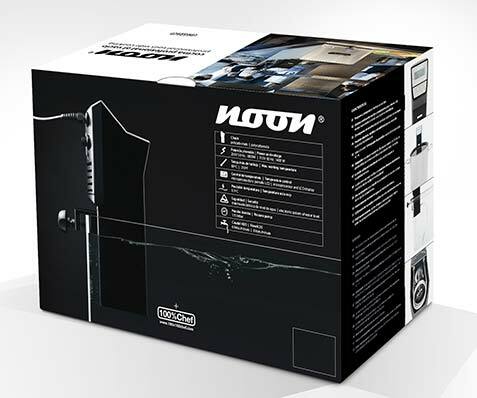 Noon is indicated for precision cooking vacuum-packed food, infuse, pasteurized previously cooked foods or regenerate any type of product with complete safety and comfort, in addition to scheduled cooking with high precision. 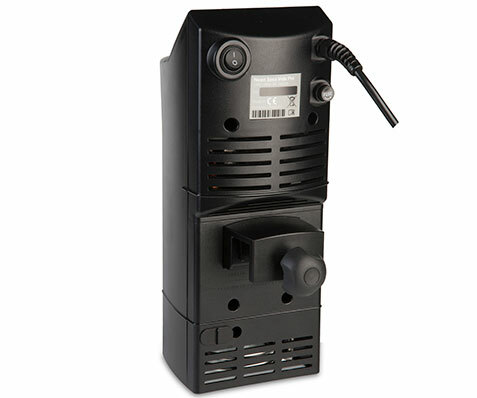 Compact and robust model with a polycarbonate chassis, resistant to the exigent daily use in a restaurant. All components are protected and integrated into its own chassis, preventing the bags to come in direct contact with the resistor, avoiding any kind of incident. Warranty: 2 years and an exclusive service. Dimensions (H x W x D): 314 x 120 x 160 mm. Power and voltage: 230 V 50 Hz 1800 W ( ref. 80/ 0058). 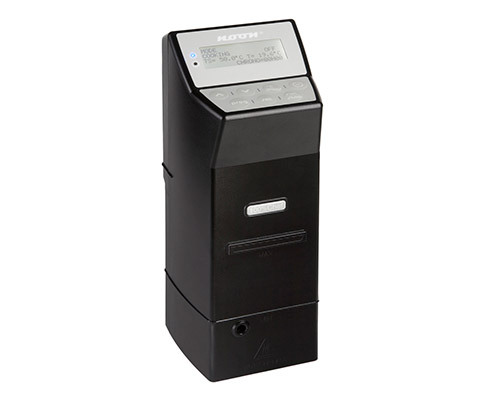 Maximum working temperature: 99 º C.
Temperature control: microprocessor and LCD screen. 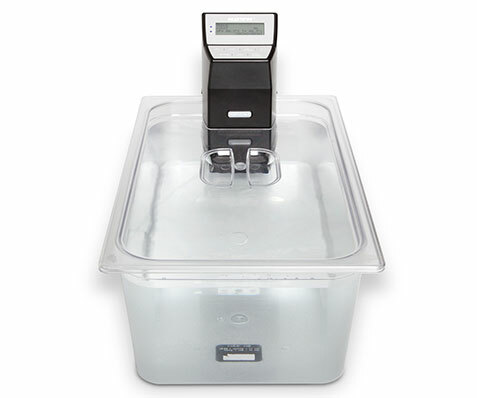 Precision temperature: 0.1 ° C.
H2O flow rate: 6 L / min. 1. Schedule and temporize cooking time. Once the time has elapsed, Noon will stop cooking, ensuring a perfect product hygiene until its final overthrow . 2. 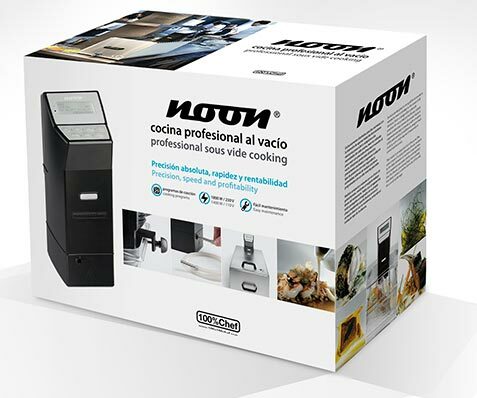 Continuous cooking system and a stopwatch will inform you about the elapsed time in all your immediate cookings. 3. Its 29 cooking programs allow you to customize each of the stages in both temperature and time. Includes 13 series programs ready to be used from the beginning facilitating the most common tasks . 4. Dont restrict your production. 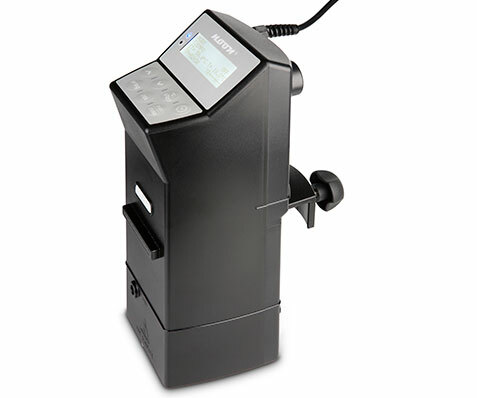 Absolute accuracy, speed and profitability thanks to a high production capacity. 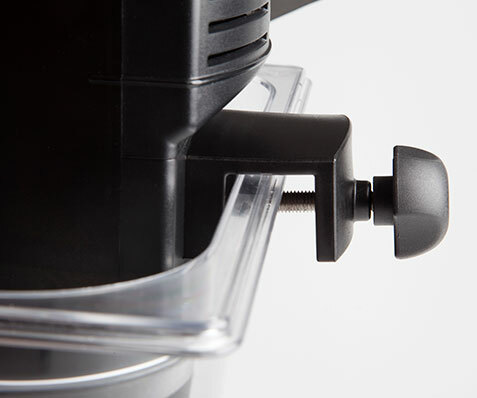 Its dual pump and 1800 W power, ensure a perfect cooking even with 40 liters. 5. Select from a 9 languages display and temperature scale °C / °F. 6. Adaptable to any GN container with a minimum 15 cm deep or if required also customizable to your larger pots and pans. 7. 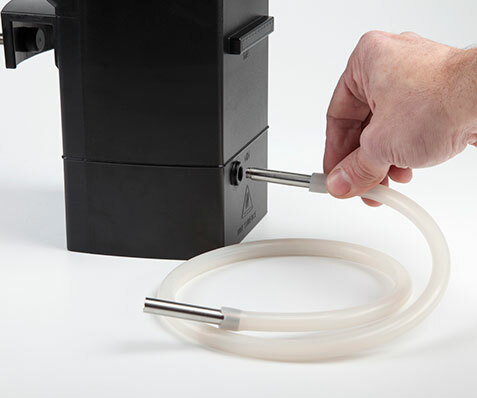 Due to the double output of its pump recirculation, you will be able to address with the adapter and silicone tube one of the streams out, ensuring the thermal stability throughout its volume. 8. 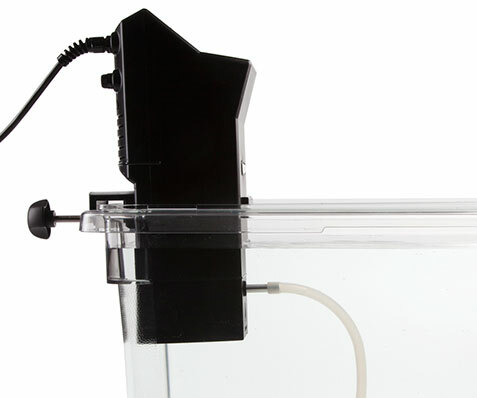 New water level sensor by electronic sounding line. Avoid any accident during cooking, automatically interrupting the heating if the water evaporates in excess. 9. Calibrate your catheter with another external thermometer. 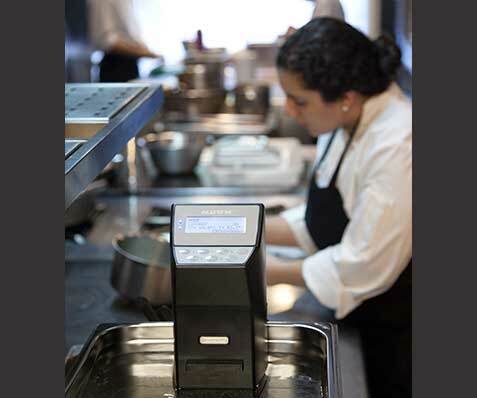 Check the accuracy of your cooking at any time and in any working condition . 10. 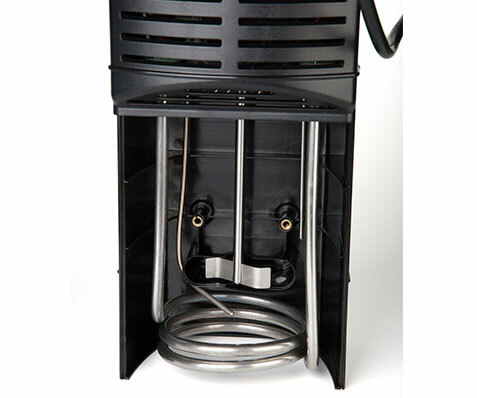 Easy maintenance: repair, clean or remove yourself all external components. ¡Always ready!